There are many great things about the internet. But like most good things, there are also some risks. There are some bad people who use the internet and email to try and get the trust of children to hurt them. This is called grooming. 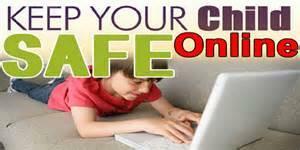 Sometimes the internet, email and instant messaging or social networking sites are used to bully children. 1 ) Never tell anyone your full name, age, address or telephone number. Use only your first name. 2 ) Never be rude, nasty, or racist or use bad language on the internet. Tell your parents if anyone uses it towards you. 3 ) Only do what your parents allow you to do on the internet. 4 ) Always show your parents any messages that you have received that you are unhappy about. 5 ) Never agree to meet anyone that has contacted you on the internet. 6 ) Keep your passwords secret. 7 ) Always ask your parents before downloading files. They could contain a virus. Never open any attachments that you are not expecting. 8 ) Always be yourself and never pretend to be anyone that you are not. 9 ) If you use social networking sites like facebook, only allow people you know to see any photos of you. You must be 13 years old to have a facebook account. 10 ) Be very careful what photos you put on the internet. Other people could download them. 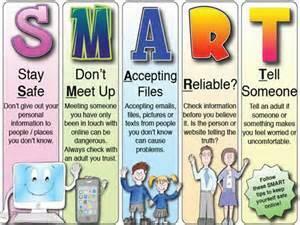 Always tell your parents if you are ever unsure or unhappy about something that you have found online. Not everyone is who they claim to be online and may pretend to be someone else so they can hurt you.